This engaging and informative account of the 480 B. C. showdown between Greece and Persia relies on the conflict's foremost ancient chronicler, Herodotus, whom Strauss deems an""excellent historian"" and""mainly reliable."" While gently correcting some of Herodotus's claims, military historian Strauss (Athens After the Peloponnesian War) stays faithful to his trademark blend of sensationalism and skepticism. He regales readers with lurid Herodotian anecdotes about oracles and omens, vengeful eunuchs and labyrinthine double crosses among the fractious Greeks, and paints colorful portraits of the cruel and impious Xerxes, the admiral-queen Artemisia of Halicarnassus (""combines the cunning of Athena and the seductiveness of Aphrodite"") and the Athenian leader Themistocles, whose blend of military genius, charisma and manipulativeness obliterated the line between statesmanship and treason. Also in keeping with the spirit of Greek sources, Strauss celebrates their victory as a triumph of democracy and nationalism over a polyglot despotism, of the common Greek rower over the Persian aristocrat. 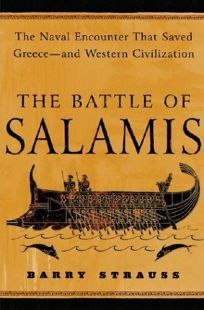 At the same time, Strauss draws on other contemporary accounts as well as on modern scholarship to detail the Persian campaign in Greece and flesh out a picture of society and warfare in the ancient world, illuminating such topics as Persian court protocol, the prayers of Corinthian temple prostitutes and the proper method of ramming an enemy trireme. His combination of erudite scholarship, well-paced storytelling and vivid color commentary make this an appealing popular history for the general reader.